Online Examination System is an online assessment tool designed to help the students to be more prepared and competent for any of the competitive exams conducted all throughout the country. With the aid of this effective tool, they will be able to improve their knowledge and confidence as well as rank/score in the mock exams and actual exam by taking practice tests. By registering for an online test series, they will have access to thousands of test questions prepared by expert faculty covering different subjects related to the competitive exam. 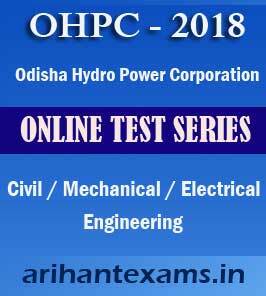 Arihant Online Examination System is a Web Based Online Examination Software and can be accesssed any where and any time with a valid Account. Entire Assessment Process will be paperless. Examination results will be generated instantly with all questions and answers. Arihant Online Examination System is all browser compatible, to give best experience to its users with different browsers. Available 24 X 7 support. Registered yourself by providing the infromations. After verification of payment details your online tests will be automatically activated as per the Exam Calendar. Now click on Login Button present in the menu bar. Please don't forget to visit our website regularly to keep up with the latest announcements and updates on this. The online test username and password are entered by the applicant during registration, so it is requested to keep it safely for future use. The account will be activated after verification of payment details. If you forgot it, you should immediately get in touch with the Arihant Academy office on (+91)9040095122. It will be sent to your registered email id on request. Please remember, Arihant Academy is not responsible for non-receipt of password through email, especially if you have specified an incorrect email address, or an email address you no longer use. Once you receive the password, please be sure to keep it completely secure and confidential. Please do not disclose it to anyone, or auto-save it, or do anything that will make it liable for misuse. The online test booking password is your sole authentication for the online test and other related transactions; it is of no use to anyone else, and therefore, it should remain in your safekeeping. Arihant Academy will not be held responsible for any claim or loss that results directly or indirectly from any unauthorized use or misuse of your online test username and Password. Note: Students have to arrange their own System(High configuration) and a very good internet connection for the Online Test. Arihant Academy will not provide you any system and Internet.